We love what we do but we love it even more when you’re happy! ”The plantation shutters are gorgeous. Thanks to you all for your perserverence and the great installation, attention to detail. ”Southern Blinds and Awnings have recently installed blinds and curtains in our newly built home in Bundanoon. We have found John to be very helpful in the early planning of construction details to ensure all blinds and curtains fit into the overall house design. He also helped with the design of recessed blinds and choice of curtain tracks. He was true to his word when it came to delivery and timing of installation and ensured that all blinds and curtains operated as required and were of the quality we requested. 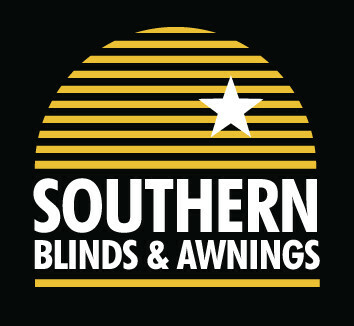 We would highly recommend Southern Blinds and Awnings. ”My experience with Southern Blinds has been a very positive experience. They are local and have competitive prices. Their service is prompt, professional and reliable. The team is very friendly and welcoming. Helpful with ideas and suggestions. Happy to answer any queries. I do recommend them to whoever is looking for blinds, shutters and awnings. ”Very professional, clean, tidy, fun and safe environment for all children. Lovely educators, my son enjoys coming to Bella Grace. ”Southern Blinds and Awnings are a small but dynamic company in the Southern Highlands. Our choice of timber hand-painted shutters were installed in all the bathrooms. They are beautiful and have been much admired. John is a delight to work with and James installs with precision and care. We asked James to hang some of our artwork and this too was carried out perfectly. One can appreciate how important an installation is on new walls in a new house and this team take the greatest care to produce immaculate work. ”Thank you so much for my blinds. They are exactly right for what I needed. The quality of them exceeds my expectations and your service has been great. ”Having just relocated to the highlands I employed Southern Blinds and Awnings to spruce up my villa with some new curtains and security doors. From the moment I walked into the showroom I was spoiled with expert knowledge and good old fashioned service. Thanks team give yourselves a pat on the back. I will be recommending you to everyone in my village. ”I just want to tell you that we have been lowering the two awnings that were installed in December each day at about lunch time. I’d estimate that our home stays at least 10° cooler throughout the afternoon/evening and the awnings look fantastic. Our thanks to you and John for steering us in the right direction with regard to fabric choice - we have had many favourable comments (even from people walking their dogs past our house).